This Jawbone Arch at Sandal was rather like the famous one at Whitby. In the garden of Hatfield Hall is a Gothic Barn that was probably built in around 1750 when John Hatfield made alterations to the 17th century house. By the 20th century, there were many coal pits in the area and the West Riding County Council bought the house in 1921 and made it into a hospital. The grounds are now used by Normanton Golf Club and the house is the clubhouse. Kettlethorpe Hall was built by the Pilkington family in 1727, who also bought Chevet Hall in 1765. 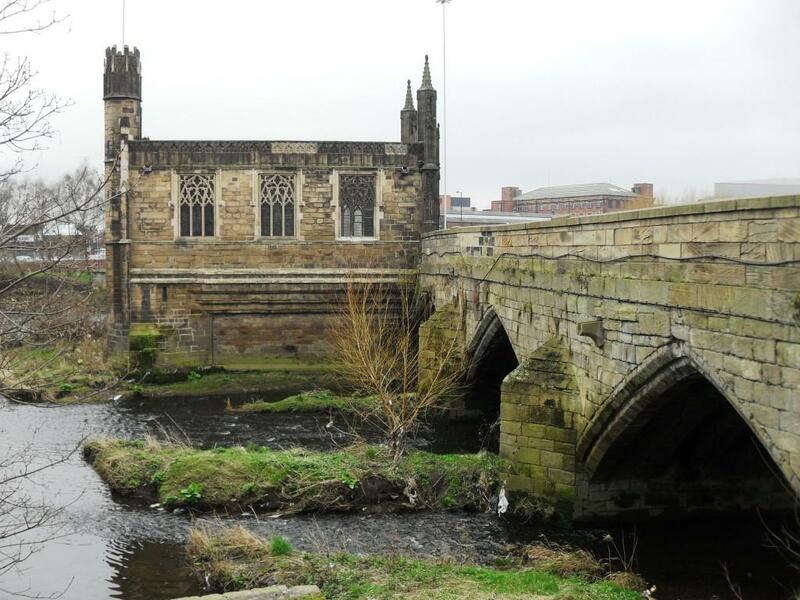 The Boathouse was the Medieval façade of St Mary's Chapel on a bridge at Wakefield, which was licensed as a chantry in 1357. The façade was re-erected on the lake in the grounds of Kettlrthorpe Hall in 1847 when Sir George Gilbert Scott restored the Chapel and replaced the west front with a reproduction. Further vandalism occurred in the mid 1990s and the boathouse was taken down. 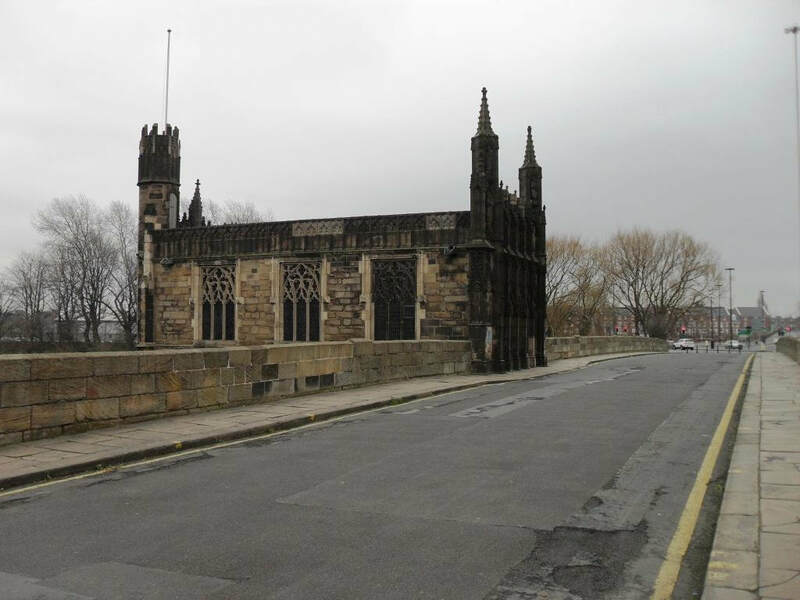 This the 14th century Chantry Chapel is on a bridge at Wakefield where Sir George Gilbert Scott performed his act of vandalism.